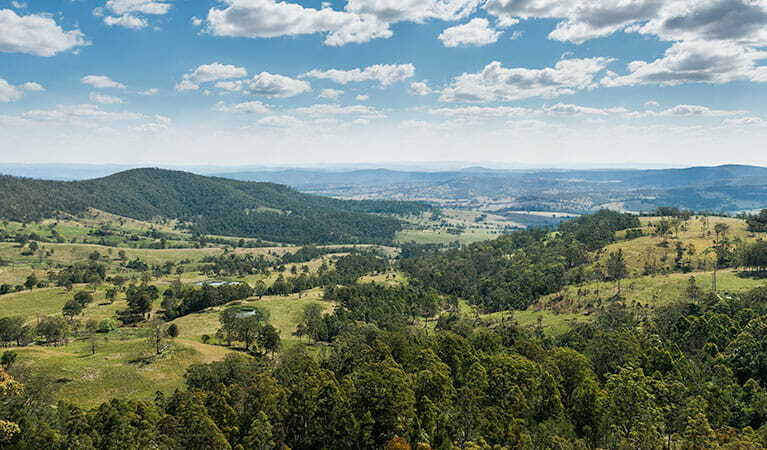 Tooloom National Park, part of the Gondwana Rainforests of Australia World Heritage Area, is a great place for walking, picnicking, birdwatching and admiring the views across the Great Dividing Range. 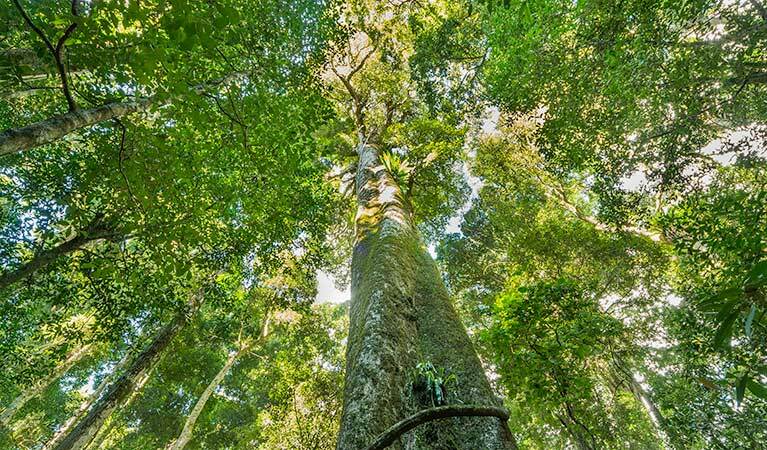 Bordered by dry forest and farmland, Tooloom National Park protects a lush, cool landscape of subtropical rainforest known as Tooloom Scrub, which is part of Gondwana Rainforests of Australia World Heritage Area. The park also includes important sections of red and flooded gum. Tooloom lies within the traditional land of the Githabul Aboriginal people, who now co-manage the park with NSW National Parks and Wildlife Service. 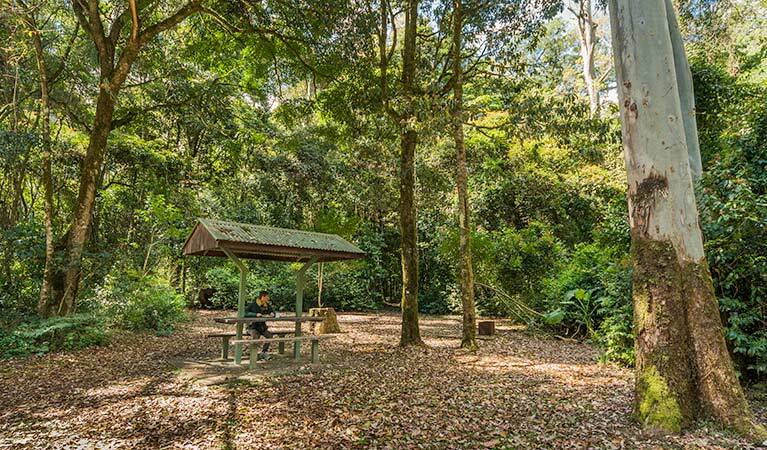 Enjoy a picnic and a walk in this gorgeous natural environment of strangler figs, glossy green rainforest foliage and superb scenic views. Ten species of kangaroos and wallabies inhabit the park, including the threatened long-nosed potoroo. 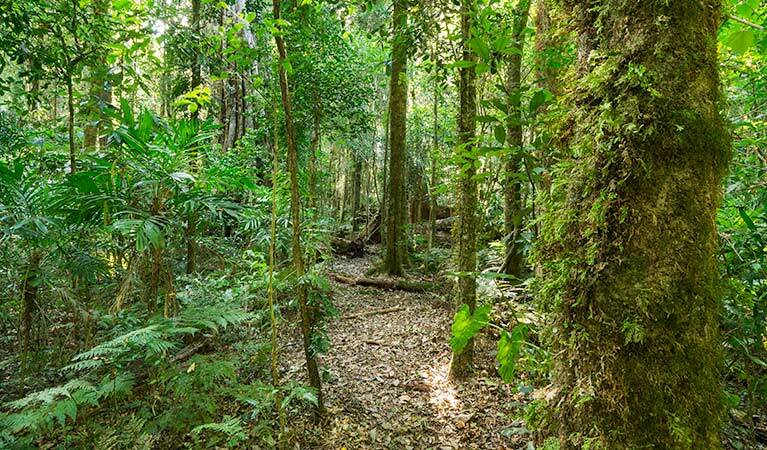 Take an easy hike along Tooloom walking track and you’ll probably see a red-necked pademelon dart across the trail. Listen for the rasping call of paradise riflebirds, which sometimes decorate their nests with snakeskin. In the case of Tooloom, that’s likely to be the discarded outer layer of a Stephens banded snake or a carpet python. 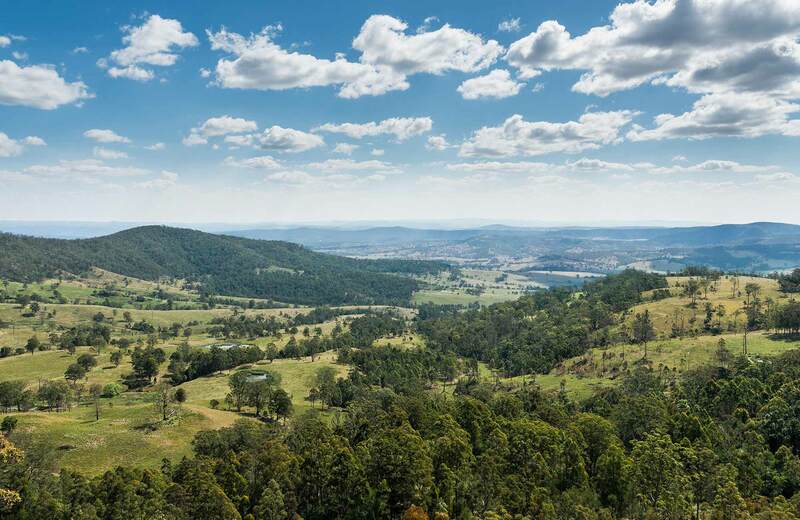 It’s a short, easy walk to magnificent scenic views across World Heritage Tooloom Scrub and out to Great Dividing Range from Tooloom lookout. Tooloom National Park is always open but may have to close at times due to poor weather or fire danger.